Brief Synopsis – A down on her luck author decides to try and forge letters of famous people in order to make some money. My Take on it – This is a film that I’ve been interested in seeing for quite some time because of all of the wards season buzz it has gotten. The premise is quite interesting and it works largely due to the amazing performances by the two main characters. Melissa McCarthy and Richard E. Grant both do wonders with these roles and it’s not surprising at all that they both got Oscar nominations for these performances. As interesting as the characters are to watch, they still feel a bit underdeveloped and if we had been given more of each of their back stories, it might have helped make this film even more enjoyable. With her performance here, McCarthy proves that she too is part of the group of comic actors who are able to do even more with a dramatic role. I really can’t wait to see what kind of dramatic roles she will tackle in the future and one day, I believe she may get a role that will help her take home Oscar Gold since it doesn’t look at if that will happen this time around. Bottom Line – Interesting premise that works because of the great performances, but something seems missing throughout that could have made this even more interesting. McCarthy and Grant are both superb in this film and both are very deserving of their Oscar nominations for these performances. The characters don’t feel developed enough and if they had been given a much broader and deeper backstory, it might have made it even more enjoyable to watch. 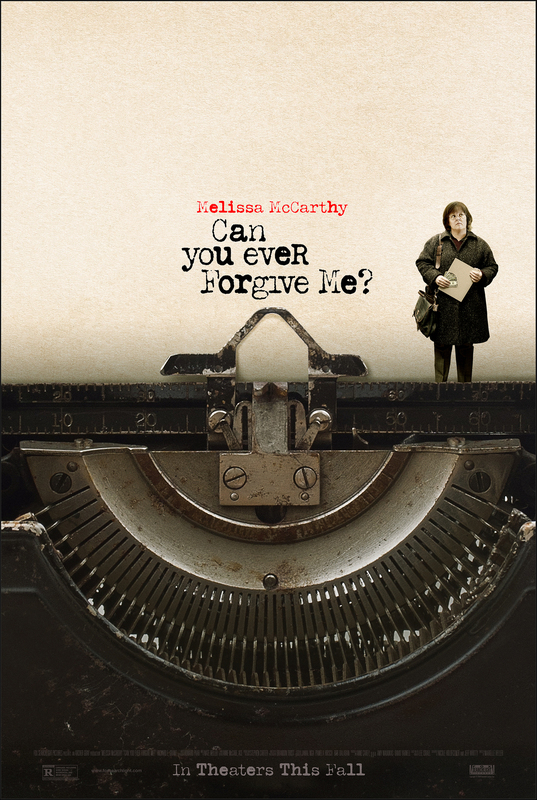 McCarthy shows with this film that she is definitely among the comic actors who are able to do even more when given great dramatic roles for them to sink their teeth into. Can’t wait to see what she will do in the future. Recommended! One of my favorite films of 2018.